Sarah Nader - snader@shawmedia.com Woodstock North's Veronica Grover jumps to block a ball during Monday's Regional quarterfinal volleyball match against Pritzker in Woodstock Oct. 24, 2016. 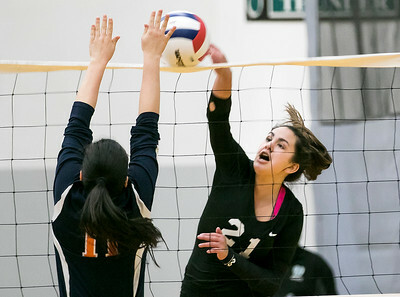 Woodstock North won, 25-11, 25-12. Sarah Nader - snader@shawmedia.com Woodstock North's Alayna Reyes jumps to block a ball during Monday's Regional quarterfinal volleyball match against Pritzker in Woodstock Oct. 24, 2016. Woodstock North won, 25-11, 25-12. 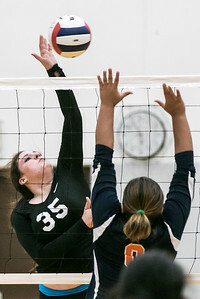 Sarah Nader - snader@shawmedia.com Woodstock North's Keara Halliday hits the ball over during Monday's Regional quarterfinal volleyball match against Pritzker in Woodstock Oct. 24, 2016. Woodstock North won, 25-11, 25-12. Sarah Nader - snader@shawmedia.com Woodstock North's Madisyn Selof sets the ball during Monday's Regional quarterfinal volleyball match against Pritzker in Woodstock Oct. 24, 2016. Woodstock North won, 25-11, 25-12. 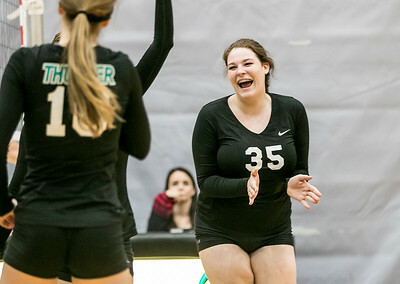 Sarah Nader - snader@shawmedia.com Woodstock North's Keara Halliday celebrates a win during Monday's Regional quarterfinal volleyball match against Pritzker in Woodstock Oct. 24, 2016. Woodstock North won, 25-11, 25-12. 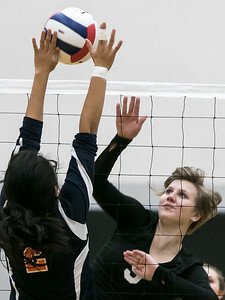 Sarah Nader - snader@shawmedia.com Woodstock North's Allison Spitson hits the ball over during Monday's Regional quarterfinal volleyball match against Pritzker in Woodstock Oct. 24, 2016. Woodstock North won, 25-11, 25-12. Sarah Nader - snader@shawmedia.com Woodstock North's Paiton Lawrence (left) and Veronica Grover jump to block a ball during Monday's Regional quarterfinal volleyball match against Pritzker in Woodstock Oct. 24, 2016. Woodstock North won, 25-11, 25-12. Sarah Nader - snader@shawmedia.com Woodstock North's Sami Long dives for the ball during Monday's Regional quarterfinal volleyball match against Pritzker in Woodstock Oct. 24, 2016. Woodstock North won, 25-11, 25-12. Woodstock North's Keara Halliday celebrates a win during Monday's Regional quarterfinal volleyball match against Pritzker in Woodstock Oct. 24, 2016. 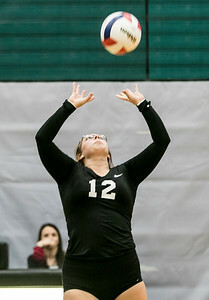 Woodstock North won, 25-11, 25-12.